Few film production roads have been as bumpy as Mad Max: Fury Road, a.k.a. Mad Max 4. Some variation of the film, for those who don't know, has been in the works since the release of Beyond Thunderdome (1985). It was shutdown twice previously - once with Mel Gibson attached and once with Tom Hardy - due to the Iraq War and out of season flowers, respectively. Then, when the film finally went into production, it got behind schedule, went over budget, and the studio sent people to the set to keep a watchful eye on director George Miller. Well, add one more bump to the road. After being a complete no-show at Comic-Con 2013 and mysteriously absent in terms of early online publicity, Fury Road is going back for reshoots. Fury Road initially finished shooting back in December 2012 in South Africa. According to If.com.au, three weeks of additional shooting will begin November 22nd, 2013 and "at least some members of the ensemble cast" will take part. That's basically a year between shoots. Is this being mandated by Warner Bros.? Was it suggested by the director? The report doesn't specify. Now, it's worth noting that reshoots on a film aren't an immediate cause for concern. After all, plenty of films that have been "plagued by reshoots" have gone on to be perfectly enjoyable - and sometimes even excellent! World War Z is a good example of a film that was notorious for rewrites and reshoots, to the point that most film prognosticators predicted its imminent box office demise. A half a billion dollars later and it's hard to argue that those reshoots weren't the least bit beneficial. Still, the news is a little disconcerting for a film like Fury Road because of its already tumultuous history. As previously stated, there have been delays, shutdowns, replacement actors, budgetary problems, concerned studio executives, and now reshoots. With problems like these, one would hope that George Miller might start seeing some smooth sailing at some point. If.com.au notes that Fury Road is expected to be released in 2014 from Warner Bros-Village Roadshow Pictures - and yet Village Roadshow doesn't have the film on its schedule. 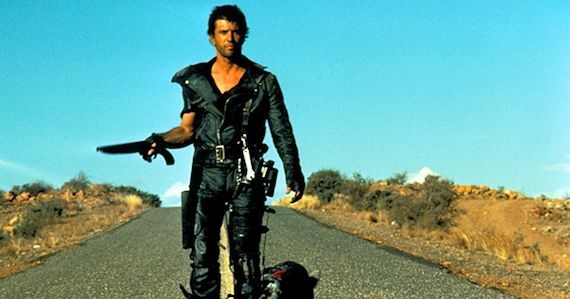 It certainly seems possible that we might not see the fourth Mad Max film until the end of 2014 or even in 2015, which is already getting pretty crowded as is (hey there, Star Wars 7, Avengers 2, Batman vs. Superman, Avatar 2, James Bond 24, and so on). Then again, Miller and company have been working on the film for well over a year at this point and three weeks of shooting is certainly not a massive undertaking. Perhaps the reshoots are just the finishing touches and the film will be ready to hit theaters next year. Let's hope so. What say you, Screen Ranters? Are you concerned about the reshoots, given the perilous journey Mad Max 4 has already taken on its way to the big screen? Drop us a line in the comments. Mad Max: Fury Road - starring Tom Hardy, Charlize Theron, Nicholas Hoult, Rosie Huntington-Whiteley, Zoë Kravitz, Megan Gale, and more - doesn't have a release date yet, but we'll keep you updated as more information becomes available.